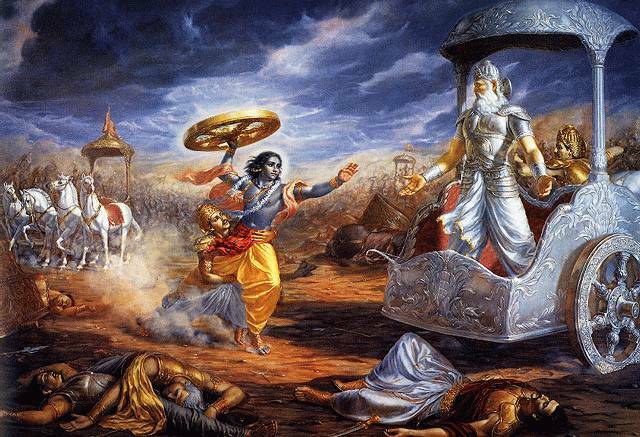 Episode 31 - The Pandavas continue their pilgrimage to all the holy sites of India. With Lomasha as their guide & storyteller, they hear the stories of Rshyashrnga and then the story of Rama Jamadagnya, or "Battle-Axe" Rama, who cut his own mother's head off and single-handedly killed off the entire race of Kshatriyas 21 times! Also, J.A.B. Van Buitenen, our translator for most of the podcast so far, gives us a hypothesis that the story of Rshyashrnga made its way to Medieval Europe in the form of the Unicorn myth. It is certainly interesting that it took a virgin to capture the unicorn for the king. I just now finished listening it (I had read the story of Parasu Rama in childhood) but story of Rshyashringa was new to me and I always liked the kind of observations & insight you give to these Indian mythical stories from a westerners view point. I would request you to keep doing that and if possible please research more to explain links between common famous stories in different cultures and share with us the audiences. i agree with "the wizard of hope" please do tell us about any links you see between the mahabharata and common famous stories.